Is lithium orotate (LiOr) a natural bipolar cure or a dangerous form of self medication? Unfortunately it appears it may be both. LiOr is suggested as a cure for the symptoms of both bipolar depression and bipolar mania. 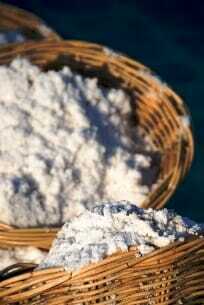 This form of natural lithium is also popular for curing anxiety and panic attacks. Reliable information on LiOr is hard to find! My research suggests LiOr may be worth trying for Bipolar Type II or panic disorder but first we must check the facts. This is a simple chemical salt – just like lithium carbonate or lithium citrate. 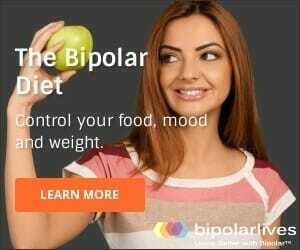 Thus symptoms of bipolar such as depression and mania, or anxiety can be addressed without problems like weight gain, slowed thinking or kidney stress. Various versions of LiOr are promoted heavily online and in health food stores and are often described as herbal lithium, natural lithium, or homeopathic lithium. There is one study involving humans. This found some effectiveness in the treatment of alcoholism. However, it did not examine effectiveness for bipolar disorder or treating symptoms of depression or anxiety. One rat study found no difference between LiOr and conventional lithium carbonate. The final rat study found very adverse impact on kidneys compared to conventional lithium carbonate. This led the researchers to conclude: It seems inadvisable to use lithium orotate for the treatment of patients. This is the study that has done most to damage the reputation of lithium orotate. But critics of this study point out that the amount of LiOr injected into the rats was relatively huge – the whole point being that only small doses are required to get the same benefits as with lithium carbonate, so there is no need to test using the same (large) amounts! Along with being bipolar (symptoms of depression AND mania), I suffer from crippling panic attacks. I would love to hear that LiOr really does work, especially where anxiety is concerned. This panic has been a long standing problem for me – it feels like I am choking and often makes it impossible for me to eat because I become convinced that I cannot swallow. ANYTHING that claims to help with anxiety gets my attention! The reason I educated myself on this topic was because of the claims being made about the various products using this “natural” alternative and anxiety disorder. Is Dr Phelps correct that LiOr could be worth trying? My dilemma is that I already take lithium carbonate and I don’t know how to take both without messing up my doses and lithium levels. It will be hard to find a doctor to supervise your experimenting with LiOr or help you safely integrate with existing meds. If you do try LiOR, DO NOT EXCEED the recommended dose! I recently found 3 articles that express positive views, although I present them with a caution. Although all 3 of these articles have been at least co-authored by medical doctors, there does appear to be a financial incentive involved in promoting LiOr. So with that in mind . . . The Misunderstood Mineral Part 1 by Jonathan V. Wright, M.D. (Reprinted From Nutrition and Healing). The Misunderstood Mineral Part 2 by Jonathan V. Wright, M.D. (Reprinted From Nutrition and Healing). Lithium Orotate: The Unique Safe Mineral with Multiple Uses by Ward Dean, M.D. and Jim English. brand. These products are not FDA regulated so you may not be getting a product that is pure or contains the stated amounts. Since 2009 I have received over 90 comments from readers on their experiences with LiOr. These were 80% positive. Many claim this form of natural lithium has greatly helped them with symptoms of depression, mania, anxiety, and panic attacks. BUT I DO NOT TAKE LITHIUM OROTATE! I want to take it and have (briefly) tried it with seemingly positive results. However, I simply cannot get past the lack of support and supervision from the medical profession. Please – proceed with caution. I decided to not take my lithium carbonate and try lithium orotate. The orotate was not strong enough in the 5mg dose and I became very depressed and manic again after 3 weeks. Please do not take orotate instead of your prescribed carbonate! I became very unwell very quickly. The typical dose for lithium in the form of lithium orotate is 10mg to 30mg per day. And this is not intended for bipolar disease treatment. So, why you have taken 5mg? Usually, a dose below 20mg will have no noticeable effect on mental state. I don’t know what would be an appropriate dose for bipolar disease. More often lithium orotate in dosage between 10mg and 30mg of lithium is recommended for support in treating depression, anxiety or migrene. Not for bipolar disease. According to Jonathan Wright, M.D., America’s top authority on lithium orotate, a total daily intake of 30 milligrams of elemental lithium will have unnoticeable effects on serum lithium levels, with levels usually residing in a non-detectable range. Even 40 mg per day appears to be completely safe, presenting no negative side effects or signs of toxicity. They are sold in 120mg, but contain 5mg of Li. Some doses of carbonate are managed to have over 50mg of Li. The linked chart is helpful. Its not recognized by the medical establishment for the same reason marijuana is only legal in15 states anything thats natural and cant be patented and mass produced will always be demonized. 5 mg is not a sufficient dose. study the ratio to get dose – orotate to carbonate. I’ve stopped lithium carbonate and started lithium orotate 7 years ago, under the supervision of my doctor. It’s amazing how NORMAL I feel and all the positive cure my family and friends have noticed. I strongly recommend lithium orotate! It changed my life. Two things. First, the study referenced ( pubmed/34690) said both test groups of the rats were given EQUAL injections of Lithium Orotate or Lithium Carbonate. The entire advantage to taking Lithium Orotate is that you can take around 10 to 20X LESS than the carbonate and still get the same results. Second, Clare Ryan … You said the 5mg wasn’t enough for you. If you were previously taking 1 – 2 capsules TIB (3 times per day) that would equal 180 – 360 mg of elemental lithium, of which your body absorbs between 9 to 36 mg. So if you were taking just 5 mg of Lithium Orotate (in a 100mg Capsule) that would definitely NOT have been enough to treat your condition. Equals 15 – 30 mg of elemental lithium, of which nearly 100% is absorbed. Also Clare, some people are on even higher doses than that! My point is you need to do a bit of math to figure out where you need to be. I’d start off assuming your body is currently absorbing 10% of the Carbonate (so 36mg in this example) which means you’d need a daily total of 7 to 8 Caps of Lithium Orotate so start off taking 3 in the AM, 3 mid day then 2 with dinner. If you find it’s not enough, you can step it up a bit, maybe 4 in the AM. I’d try to keep lower dosages at night, since it can sometimes give you a boost of energy. Will lit Or help with ADHD ?